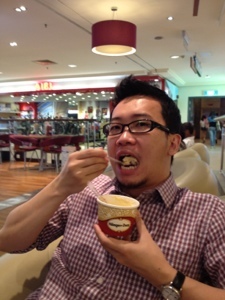 Been to Midvalley before, but this Haagen Dazs in One Utama has 2nd floor! Love the little corner nest! This time i had 3 scoops of Ice Cream. Strawberry (yes they have it here! 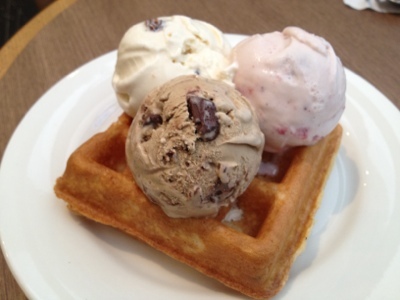 ), Cappuccino Truffle, Rum Raisin' + Waffle. Formerly known as EEST restaurant, now the brand new name is Five Sen5es (Five Senses), a non-halal Chinese restaurant in The Westin Hotel Kuala Lumpur. New name, new menu. However they interior still remain the same. We didn't try the FIVE Senses dishes because we are not real food blogger like any others. Maybe next time though. Excellent, even though there's only 5-6 pieces of scallop. Little spicy but great stuff! Ah! Sorry this photo was taken after they cut it into pieces. It was huge (larger than Black's. LOL)! Heard the staff said it needs hours to get this done?!? I forgot @#%$. Awesome crispy skin! I ate all the fats! Very small dish but the fish is good. Tasted honey of course. Kekeke. That's pretty much about it. Normal weekend dinner. Oh yes, they have dessert for free! And the staff said that it is 50% discount for member, that you can just bring many as you like (Usually 50% discount is for 2 person dine in and only valid for Starwood Card member). Just make sure you book a big table! But please kindly call them to make sure my info is correct. Because what I heard is within this 2 weeks they are having this privilege for members, but I do not sure about when it ends. It's been a while, this feeling is back! Most probably the iPhone lens made me excited. Today went to Wisma Cosway for my acupuncture 3rd session. It went well, I had no 'complaint'. Kekeke. But spending another RM 100 (each session + herb medicine for a week). Today I brought my Olloclip iPhone lens with me. Basically I tried to snap some beautiful photos but not quite beautiful. I love the wide angle lens so that I do not need to step backward to take an object I want. 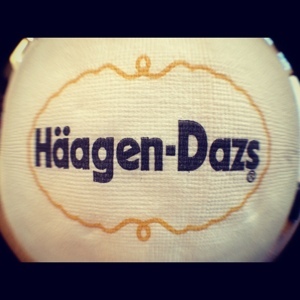 The (some) photos of this post are taken by using my iPhone 4S with Olloclip lens (fisheye & wide angle). We always park the outdoor car park next to Hakka Restaurant. RM 8 per entry on Saturday. Photo above taken from the car park there. Shiseido cheerleading? Never a good idea to cheer on concrete floor. Big mistake. Sephora Kuala Lumpur. My manager really need to see this! He didn't know Sephora in town, instead he asked me to take a photo of Sephora at In City mall in Suzhou China during our work trip there. After acupuncture, we had lunch in Grandmama's. We got the whole afternoon before dinner. Yes we have planned to try out Five Senses Restaurant in The Westin Hotel (Formerly is EEST restaurant). 8 fishballs & great portion. I love it! Went to Starhill Gallery to check out Debenhams department store. Didn't get anything. Not really a fan of this store but interior design is not bad. At this point, we were still waiting for 5.30pm's early dinner. Just hang around since nothing to do. Later on we went back to Pavilion to buy 1837 TWG Tea. They finally open in the branded wing of Pavilion mall. Bought two teas. Earl Grey Buddha & Black Tea. RM 59.90 each. At least it's quite a happening Saturday to me (spending money!). I felt better. Hehehe. Recently every office workers in Phileo Damansara I & maybe in Phileo Damansara II as well, been talking about this newly open ice cream store. People around are wondering why not open a food restaurant in Phileo Damansara instead of ice cream store? People there are desperate for another food restaurant to ease the crowd flow during lunch hour. New thing in Phileo Damansara, must try! So one burning hot noon after lunch I suggested to my manager to try the ice cream. I was damn hot (sweating)! So we went in and ordered ice cream, to check out what else they sell there. There have two tables only inside and two bar stools (I find the bar stools are 'lebih' one, because I don't think people will sit there and it's narrow space with the next table). Mostly people will just take away. According to the supervisor (should be, since I just figured it out she's not the boss today) that they have moved the factory from Kota Kinabalu to Phileo Damansara. The main purpose of this store is actually for conducting training for any succeed Vedablu franchise applicant. Interesting! They provide taste testing for each flavor, so you have to taste all (they don't mind) and pick the ones you like. Today I went to Vedablu again to try other flavor. I found new flavors! So the thing is, they will change the flavors around each 2-3 days. Let's see this photo and compare to previous one (above). I saw Dragon Fruit and Green Tea! I like Green Tea but Choco Rocher is just ... so so. Kekeke. They are not just selling ice creams. 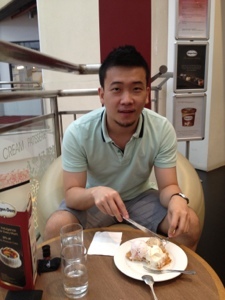 Therefore colleague went there with me tagged along to ask about cake (should be the ice cream come first, haha). Vedablu sells cake as well. They even serve tea break set like a slice of cake with a cup of Latte/Cappuccino. Didn't really know the set though. For some companies in Phileo Damansara they do celebrate staff's birthday in like almost every month, so I guess Vedablu can survive if the cake is good (Will have the chance to taste next month's birthday celebration by company). Overall, I like the concept. Maybe next week will go and try new flavor. Hehehe. Here is the website. Anything about the ice cream flavor, cakes and franchise is there. I am LazyBun, lazy to explain further. :) Enjoy! 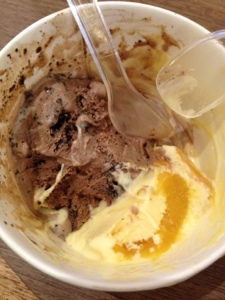 It seems like i have bad mood every weekend and i need ice cream to rescue me from the burning fire. Cool me down pls. 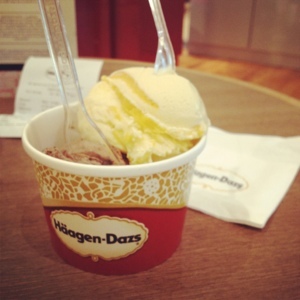 Ever since i had Haagen Dazs in Shanghai, everytime i see Haagen Dazs, i will get myself two or 3 scoops. I dont care the price. I just want to have it. Today went to TCM Solutions in Wisma Cosway for my 2nd acupuncture session. Well, after 1 years plus I attended physiotherapy in Spinal Inc Mont Kiara and then been traveling since early of the year until now, it's time to get back on the right track, to continue fighting my misery. Anyway, life moves on, time goes on and I struggles on. Again, time for lunch. Went to Kampachi @ Pavilion with my partner. It was my first time. Kampachi, a fine dining Japanese restaurant owned by Equatorial Hotel. In Klang Valley, you can find it in Equatorial Hotel Kuala Lumpur, Equatorial hotel Bangi-Putrajaya, and of course Pavilion shopping mall. Of course they have Kampachi in every Equatorial hotel in Malaysia. Visit HERE for more information. I lazy to explain. LOL. The price is pretty hotel's standard and bear in mind before you walk in if you're a budget person. This photo taken using stupid Ollcollp fisheye lens for iPhone. I will tell more about this lens story next week after I get my Olloclip lens. LazyBun's pose as usual, while waiting for my Ten Don set. There were cuttlefish, fish & two prawns. All were amazingly fresh! (can I describe like that? Ha) The fried prawns' meat was different from other Japanese restaurant like Ichiban Boshi or Kiku Zakura. One more thing to mention, I love the cuttlefish piece! I know it look simple & for RM 45 you can enjoy more quantity food out there. I agree with you, but consider the freshness of the seafood they used & with premium hotel's standard, you can't find it anywhere. It's exclusive! Maybe that's the reason people are willingly to pay and trust me, the business is good over there. Gosh! Garlic fried rice, beef rolls & prawn, salmon, yellowtail fish & tuna. All you can see in the photo. Of course, they were fresh meats! The Ocha (green tea) was RM 5 each cup. Hehehe...exclusively expensive huh. For just two of us, total bill was about RM 120. About the same amount as my a day salary, gosh! Enjoy your weekend, friends and readers. Note: Tomorrow (Sunday) I'm going to try my friend's newly open restaurant somewhere in Kepong. 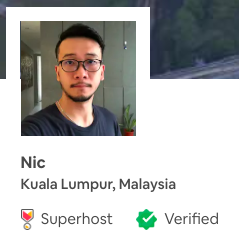 He just told me that he closed up the restaurant in Taipan and move to Kepong with new & nicer menu. I did once tried his restaurant in Taipan before my business trip to Suzhou. The food was good but definitely he needs to do something for the restaurant in terms of servicing & the whole look of the restaurant! (Again, I missed the post about his food in my blog.) Let me check it out tomorrow. Hehehe. I said I'm gonna come back here to try other Ramen dish. Please click HERE for my 1st post. 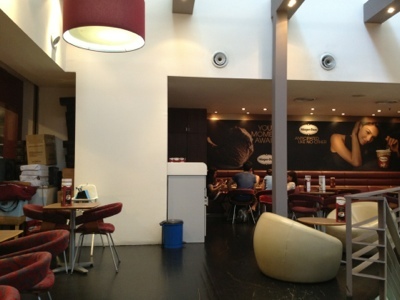 Here I am in Yamagoya Ramen @ Solaris Dutamas for dinner. Tonight I have Yamagoya Ramen and my partner orders Spicy Tobanjan Ramen. Second time here we have realised that most of Ramen dishes are similar, what different is that, A has eggs, B has spice, C has Black Garlic etc. The soup and Ramen of course remain the same for all dishes. So it is up to you to choose what to eat based on your favourite taste. Let me get this straight. They have same ingredients and two Cha Tsu. What's different is that spicy chili sauce. So look at the price again, that spicy chili sauce costs you (I mean customers) RM 3. Kekeke. Well, if you don't mind, go ahead. My partner said it is good. For drink, I have Asahi Draft Beer. ASAHI! Love it too. Last thing to mention, they have service charge only. If you're Ramen lover, you have to go and try. Then you write your review. Tell me about it, for the Ramen you try.